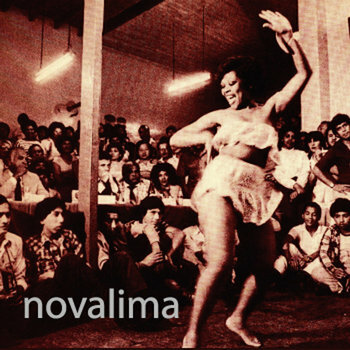 Recorded in Novalima´s home studio in Lima, their album “Karimba” (hot iron used to mark the cattle, as well as the slaves) takes novalima music into new levels, introducing both new sounds and traditional rhythms like the Panalivio, Zamacueca, Ingá and Tondero, while maintaining their distinctive afro and dub sound. Their reputation at home allowed them to work with two of the top traditional musicians in the city in what would be their last recorded performance: vocalists Pepe Vasquez, Rosita Guzman, and Sofia Buitron as well as guitarists Roberto Arguedas and Felix Casaverde (former guitarist of chabuca Granda), in addition to members of the live band. LATIN GRAMMY NOMINATED! 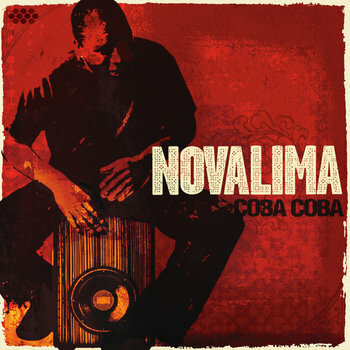 On Coba Coba, Novalima expands on the critically-acclaimed formula they developed with their two previous recordings, while taking their inspiring fusion in new and exciting directions. The album's title is derived from an Afro-Peruvian expression used to incite musicians, much like shouting "Go for it!" or "Take it!" to a musician in the midst of a great solo. On Coba Coba, Novalima delves further into the African roots of Afro-Peruvian music, bringing in influences from its musical cousins reggae, dub, salsa, hip-hop, afrobeat and Cuban son. They take a more organic approach this time around, and the songs more accurately reflect the live sound of the band, thanks to time spent working together as an actual band rather than a studio project. British producer Toni Economides, a regular collaborator of Nitin Sawhney, Da Lata, Bugz in the Attic and 4Hero among others, adds his special touch to the album's mixes. The result is a modern approach to Afro-Peruvian music that has made the genre accessible to a younger and wider public. Since its formation in 2001, Novalima has been breaking down boundaries, uniting seemingly irreconcilable genres, communities and generations to create an inspiring movement that has revolutionized the music scene in their native Peru. Founded by four friends from Lima with a shared passion for both traditional Afro-Peruvian music and modern DJ culture, Novalima searches for the common ground between past and future, between tradition and innovation. Their efforts have also helped bridge the divide between the Peruvian mainstream and the Afro-Peruvian community, a minority population that has struggled against discrimination and the threat of cultural dissolution for generations. While their sound is futuristic and cutting-edge, the roots of Novalima's music stretch back hundreds of years to the times of slavery and Spanish colonial rule. In a far-too-familiar tale, African slaves were brought to Peru as early as the 1500s until the middle of the 19th Century, establishing an outpost of African culture in South America. Over the years, the soul and rhythms of Africa blended with the melodies and instruments of Europe and the Andes. The result is rich musical repertoire that has existed for generations on the periphery of Peruvian popular culture. Afro was our first international release, and our first attempt to bring Afro-Peruvian music up to date in the same way as Nicomedes Santa Cruz and others did decades ago when the fragile existence of this music was fading. We were very satisfied with the result, which is raw and acoustic but at the same time electronic. Dark but soulful. Deep and haunting at times. We are joined on this album by some of the finest Afro-Peruvian musicians on cajon, guitar and vocals giving every song a live feel and the album includes additional production on all tracks by Nitin Sawhney's and Da Lata's studio wizard Toni Economides. Our First Album! "a fine blend of electronic and latin rhythms" .... back in 2001/2002 we were each living in diffierent cities: London, Barcelona, Lima and Hong Kong, and we emailed and Fedex music files back and forth.... recorded with artists from all four cities, a truly worldwide effort! 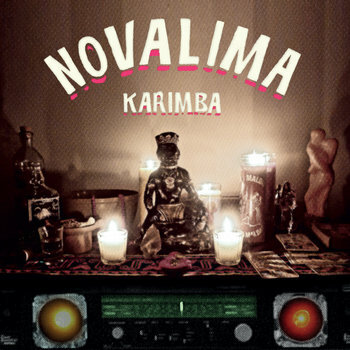 Wonderwheel Recordings is proud to present Karimba Diabolic Remixed, a brand new remix album from the Peruvian future roots collective Novalima. 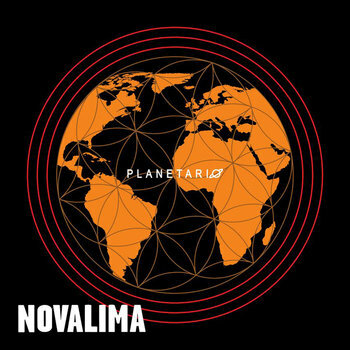 Founded by four friends from Lima with a shared passion for both traditional Afro-Peruvian music and modern DJ culture, Novalima searches for the common ground between past and future, between tradition and innovation. Being one of their home countries hottest exports, (where they have gone platinum) their efforts have a helped bridge the divide between the Peruvian mainstream and the Afro-Peruvian community, a minority population that has struggled against discrimination and the threat of cultural dissolution for generations. Outside of Peru, Novalima has garnered critical acclaim from mainstream and underground media alike, a Latin Grammy nomination for Best Alternative Album, and a featured spot in cult filmmaker Robert Rodriguez’s hit Mexploitation movie Machete. 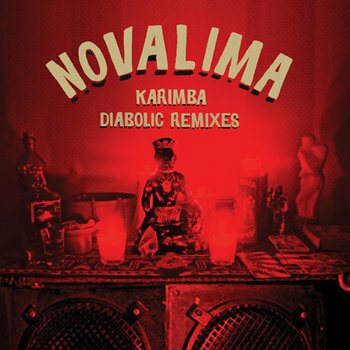 Here on Karimba Diabolic Remixed, Novalima has hand selected some of their favorite remixers to re-interpret last year’s Karimba album to their own vision. The choice of remixers also reflects Novalima’s global appeal in the Latin diaspora worldwide. 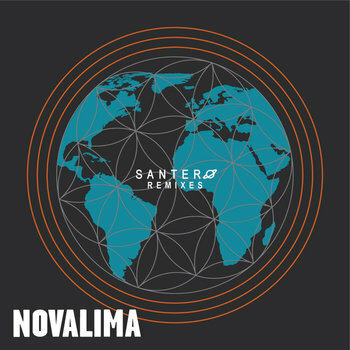 The UK is represented with well known West London producer Seiji’s heavy synth-based four-to-the-floor reworking of “Mamaye”, and UK / Brazilian supergroup Da Lata giving us a rootsy swinging version of “Malivio Son”. As it’s recently become a hotbed of Latin infused dance music and culture, California is heavily represented with remixes from KCRW / AfroFunke DJ and Los Angeles mainstay Jeremy Sole fleshes out “Macaco” into a smooth call and response affair. SF based Acid Jazz legend DJ Smash delivers a squelchy, bouncy version of “Diablo”, while Bay Area veteran band Afrolicious freaks “Zarambe” into a dancefloor joint equally influenced by house music and Fela Kuti. LA/NYC DJ Sabo reinterprets “Diablo” with his signature deep and dirty Moombahton style, while Thievery Corporation’s Rob Garza takes “Festejo” into swirling, psychedelic house vibe. NYC DJ producer and Wonderwheel label head Nickodemus takes “Mamaye” into bass and percussion heavy dancefloor territory, while Novalima affiliated DJ collective Coba Soundsystem deliver varied takes on “Festejo” and “Malivio Son”. Also included are remixes from Barcelona’s AndyLoop and Los Chicos Altos and deep house producer Xacosa. As an added bonus, the album contains one brand new, unreleased Novalima tracks – “Payande”. 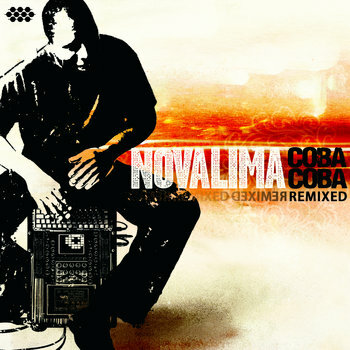 in 2009, the Peruvian band Novalima released their album Coba Coba, and it quickly became one of the most critically acclaimed Latin and world music albums of the year so far. 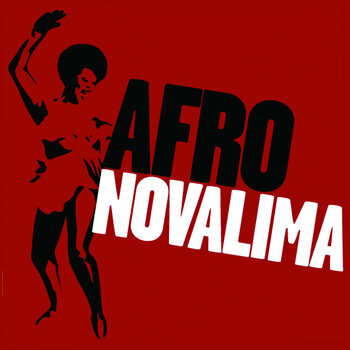 With their unique fusion of Afro-Peruvian soul with dub, salsa, hip-hop, Afrobeat, breakbeat and house music, Novalima has earned raves from trend-setting DJs and journalists and has developed a wide following across the globe. In response to growing interest, Cumbancha released Coba Coba Remixed over the summer. The exhilarating collection featuring 14 new remixes by top DJs and producers from Europe and the US. Coba Coba Remixed is filled with funky beats and chilled out grooves that will delight fans of globally-inspired dance and electronica. With a fresh and innovative sound that stands on a centuries-old foundation of soul and heritage, Novalima promises to keep Afro-Peruvian expression thriving long into the future, and Coba Coba Remixed serves as an exciting new step on this mission. Coba Coba Remixed features remixes by Da Lata, Zeb, Toni Economides, Faze Action, Paul Seiji Dolby, Boozou Bajou, DJ Spam, EarthRise Soundsystem, Daniel Haaksman, StreamerPilot and more.